It's a slim design to suit your style! Although small in size, the V-Guard’s Wilma STS Pedestal Fan gives you efficient cooling when you need it. 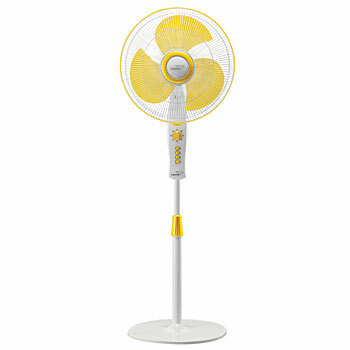 Instead of using a larger, higher power consuming fan in cramped spaces, try the V-Guard Wilma STS Pedestal Fan. Due to its slim design, it is able to fit into small, cramped places. 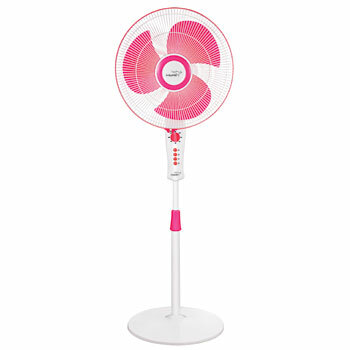 Buy powerful fan online and wave off your summer worries. The V-Guard 55 watt Wilma STS Pedestal Fan might be small, but doesn't mean that it is not powerful. It consumes up to 55 W of power and works on an optimum operating voltage, making it ideal for most places. Lightweight and portable, the 55 Watt Pedestal Fan is able to save power and give you the kind of cooling you need, day and night when summer comes in.